As promised on our twitter account when we reached 3,000 followers, this is our newest giveaway! 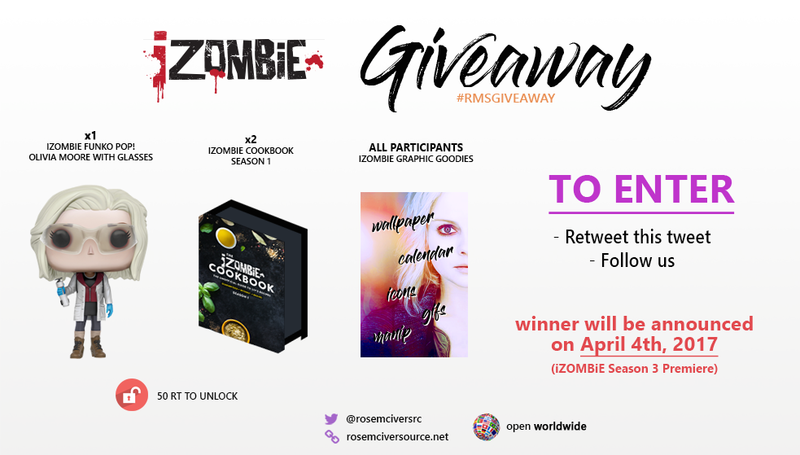 We had announced that we were going to make you win a copy of our exclusive recipe book on ‘iZombie‘ Season 1, but we decided with your enthusiasm on twitter, to make win two! And that’s not all! With the season 3 premiere of ‘iZombie‘ on April 4th, we decided to close the contest on that day AND to make you win three lots in total!